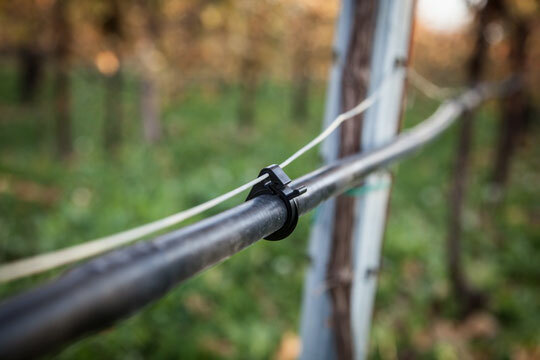 Drip Clips for Irrigation Pipe Diameter 20 mm. The sole one with "unfastening" self secure system patented! Long Life expecting thanks to the raw material used to produce it. Made in Polypropylene, unaffected over the years. 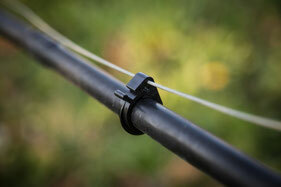 This clip is manufactured in black color in order to seem as a sole part with the irrigation pipe. 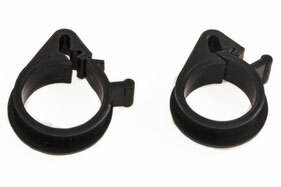 Our clips are perfect as support for the pipe. 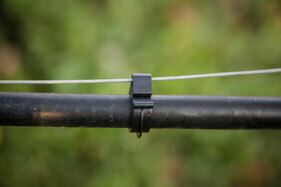 Thanks to its special hooks, it fits sturdy remaining unfastening from the pipe. Patented! Our special hook can be order directly to Accessories for Vineayards. Do not hesitate to contact us for any information you may need. Our compnay is able to ship the goods in Italy and in the rest of world by its internal staff. Please contact us for any clarification you may need simply clicking here.